The powers of the greatest super humans come together to defeat Loki and his menacing army. The Avengers: Thor, Iron Man, Captain America, the Hulk, Hawkeye, and the Black Widow form a force that together take down an army never before seen on earth. 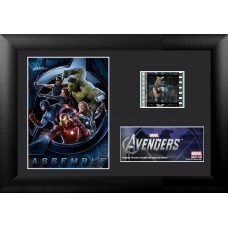 See the Avengers assemble in this Special Edition MiniCell Presentation that features a real clip of film from the movie.